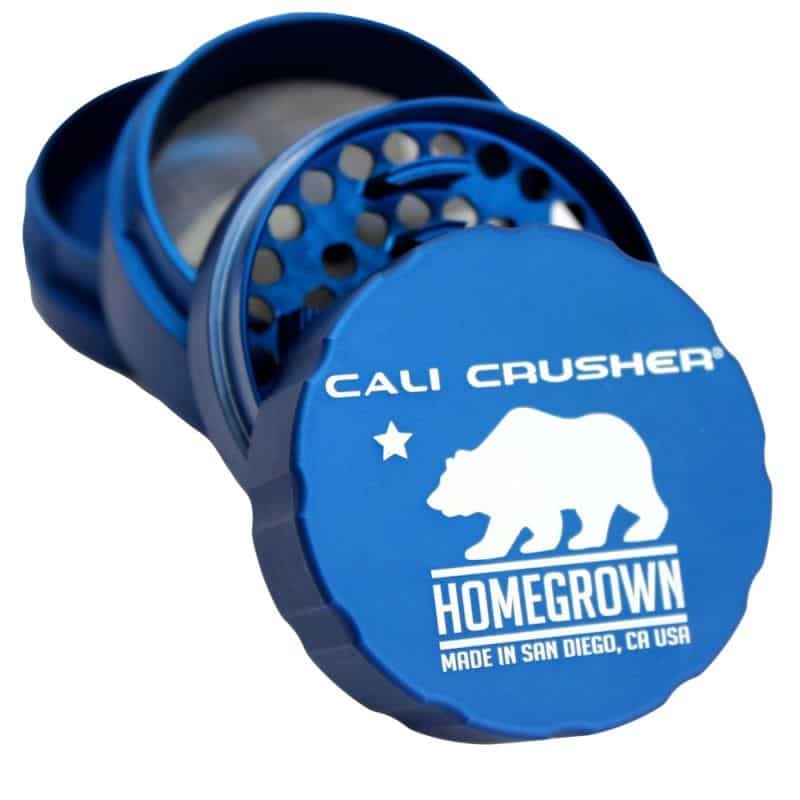 Cali Crusher® Homegrown brings you next level grinder technology. 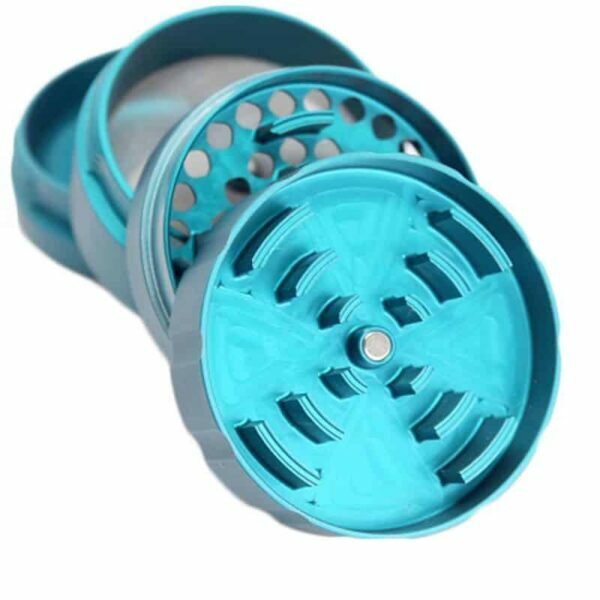 Packed with tons of exciting features, like the 4-way quick lock system built to eliminate any cross threading incidents and jammed grinders. 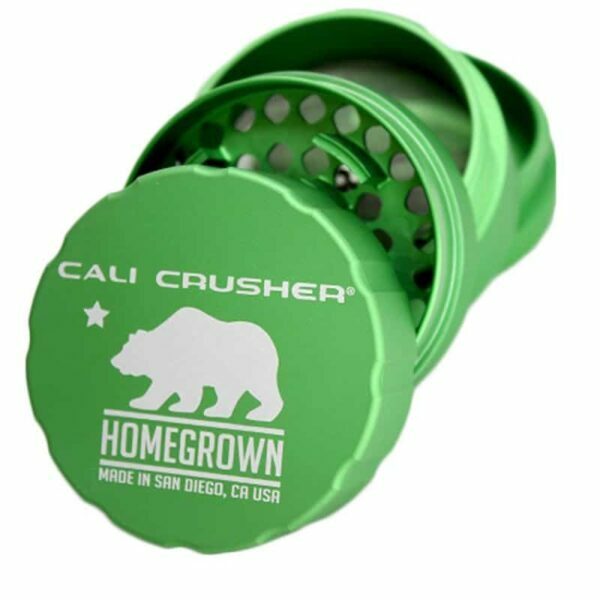 Remove and upgrade the screen using a small hex key to create a custom grinder that fits your needs. Made from top-shelf Aerospace MEDICAL GRADE aluminum with indestructible radial cut blades that are covered under a Lifetime Manufacturer Warranty! 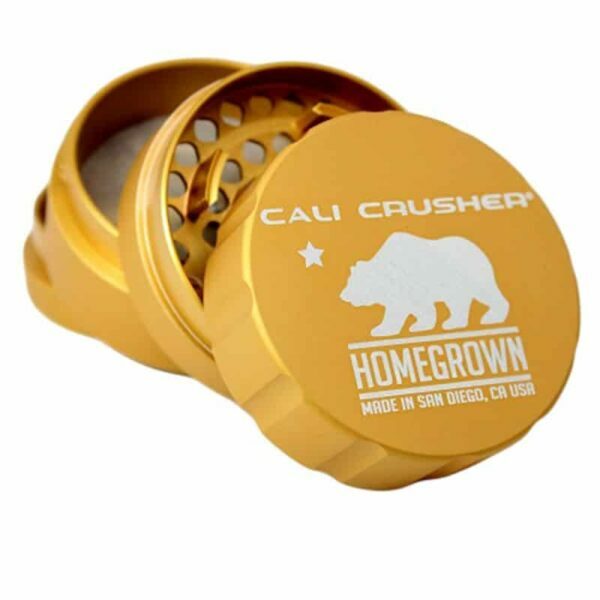 Large 4-piece pollinator “Homegrown” by Cali Crusher. 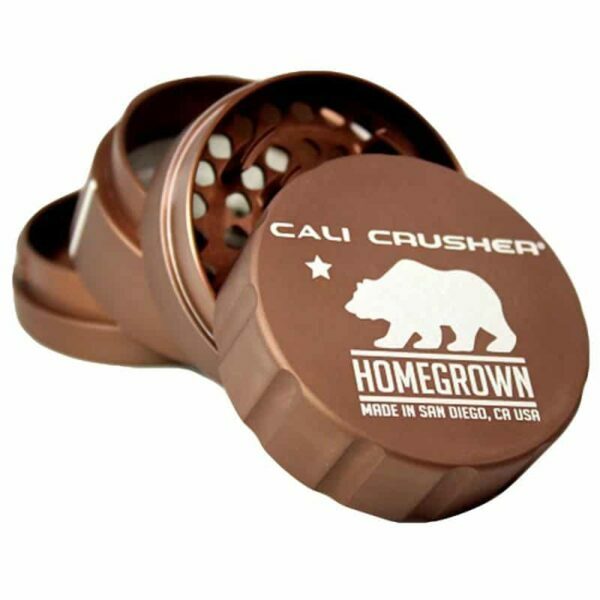 Cali Crusher® presents the revolutionary Homegrown Grinder. 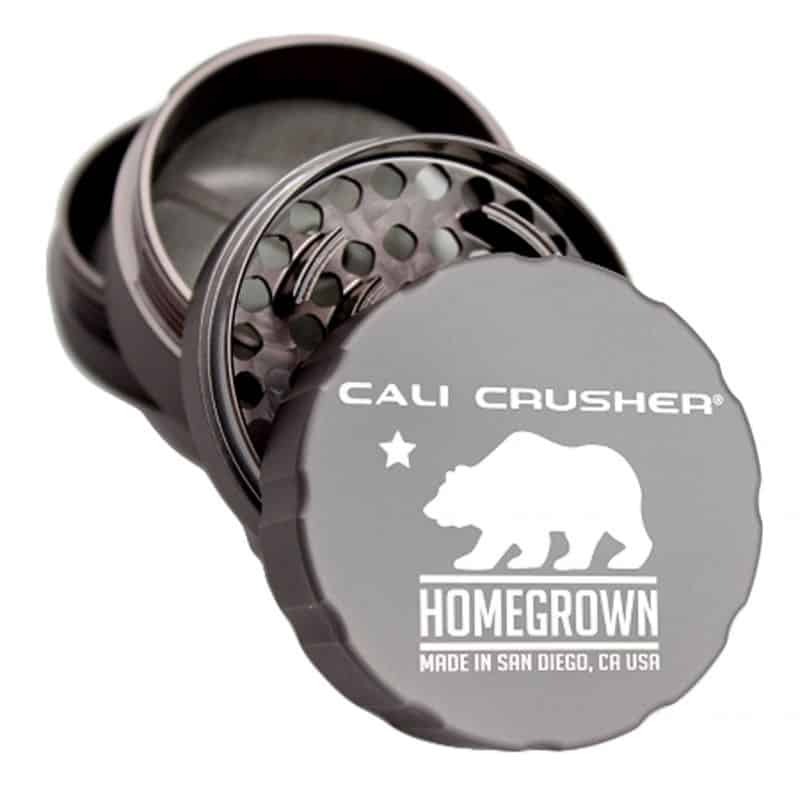 This is the next level in grinder technology, packed with features unseen on any other grinder before. 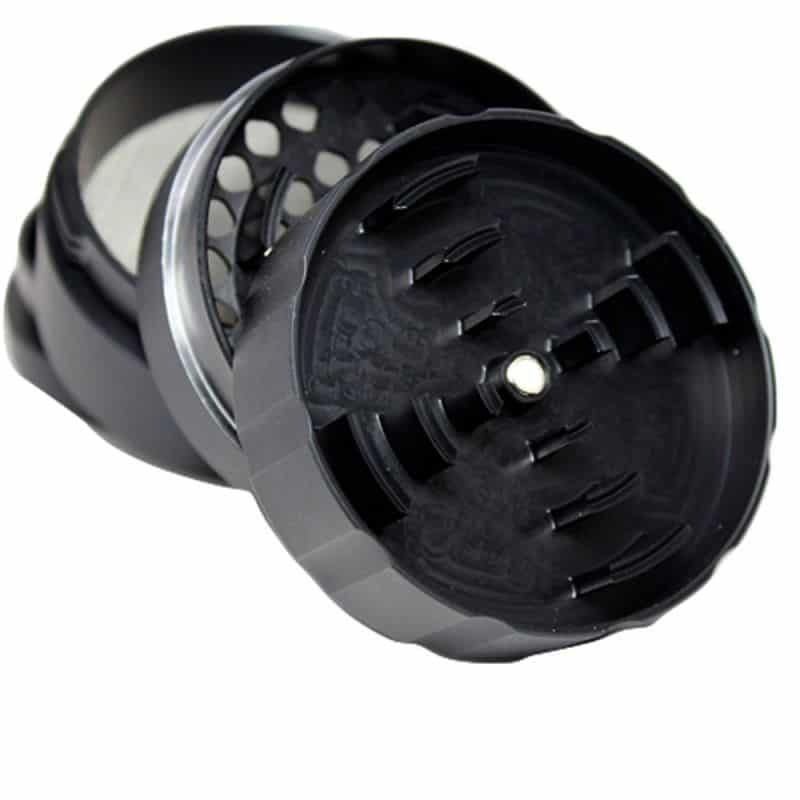 Most notable is the original 4-Way Quick lock feature, eliminating cross threading incidents and jammed grinders. 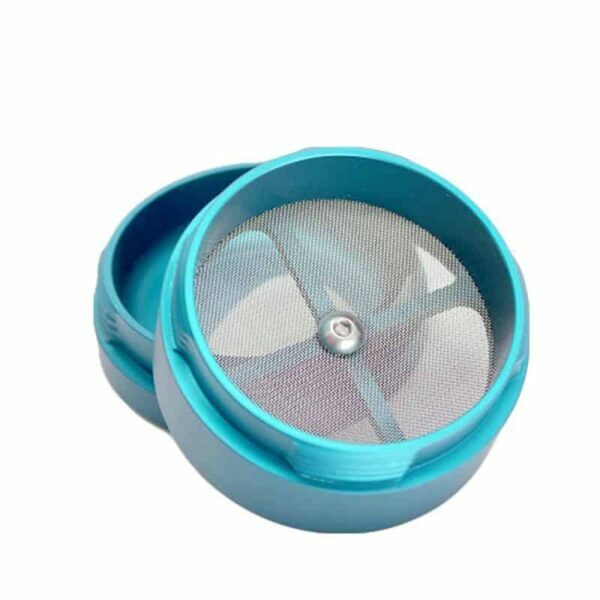 The screen is removable and upgradeable with the use of a small hex key*. HOMEGROWN Grinders are made of top shelf Aerospace MEDICAL GRADE aluminum with indestructible radial cut blades that are covered under a Lifetime Manufacturer Warranty! 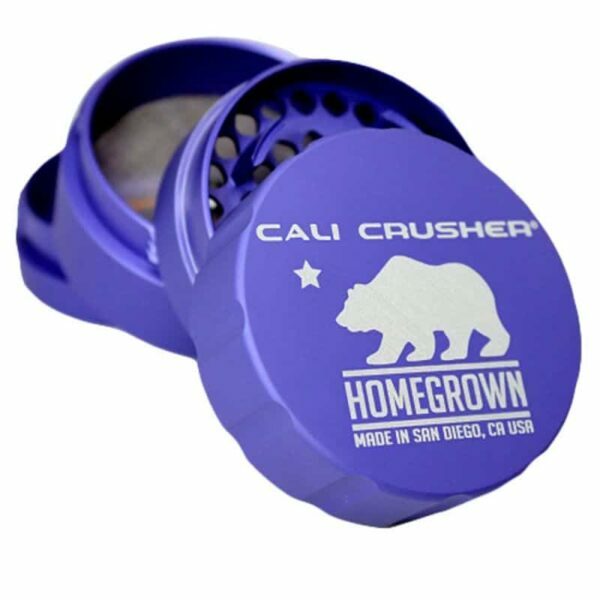 Notice that the bottom catch chamber is not only 2x larger than your average grinder’s catch, but it also has the original smooth rounded contour design for easy access and finger scooping your pollen. 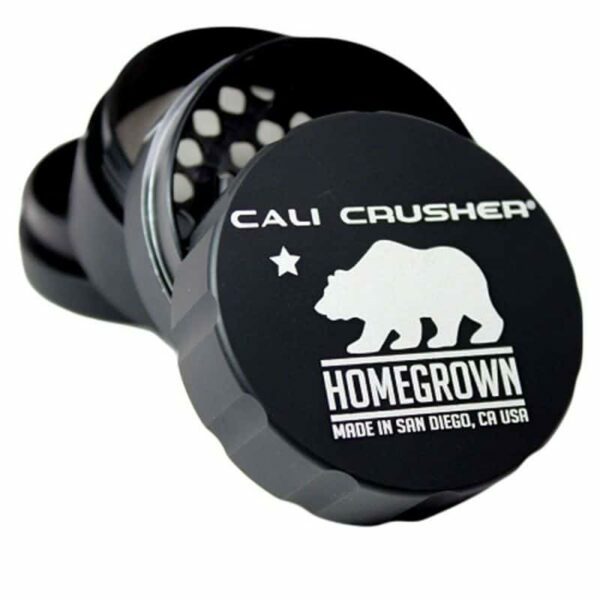 Every problematic feature of the classic grinder has been redesigned for overall improvement. Original 4-Way Quick lock technology, just a quarter turn to lock & open. 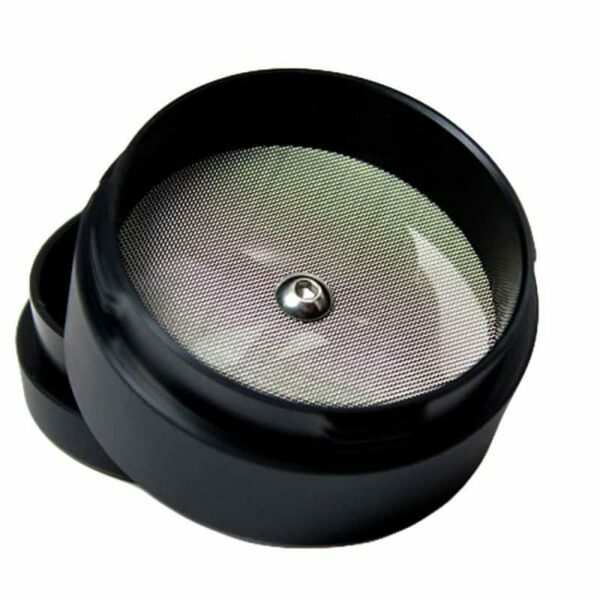 Removable screen makes it easy to clean, upgrade and repair. 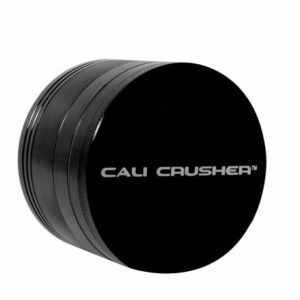 Our original smooth rounded contour catch chamber, easy pollen access.